Do You Support Arizona's New Immigration Law? We are getting a lot of emails from inside of Arizona asking for support of their state's new law and from outside of Arizona expressing their opinion about the new law. Do you support Arizona's new immigration law and believe in the right of each state to protect its own citizens from the effects of illegal immigration? If so, go to our petition site and sign the petition by clicking here. After signing the petition, share the link with everyone on your Facebook pages and email lists. Finally, please use the 'I Support Arizona' image on your Facebook and Twitter profiles. For further information, click here for a link to the text of the bill. Being a "nation of laws," AZ is just asking the laws be enforced.... the Federal Government wasn't -- so they are! We discussed this topic in our last meeting. It was nearly unanimous that we should be supportive of the new AZ law. With stress being put on this not being an attack on any one race of people... simply put -- NO immigrants should be given "special status" over others. We will welcome ALL legal immigrants willing to be become American citizens. Is Puerto Rico Being Forced Down the Path to Statehood? Would you please call the U.S. Representatives today and ask them to vote no on H.R. 2499? This is a trojan horse, middle of the night kind of bill that you may not have heard about yet. The Left is trying to label anyone who votes against this bill as a racist, so all representatives must be called! TIME TO MELT THE PHONES! Now they are trying to sneak in a vote that would put Puerto Rico on the path to statehood. The only trouble is, they haven't exactly told US about it (sound familiar??). Click on congressmerge.com/onlinedb/index.htm to get your Representative's best phone numbers. Start with the DC offices, then move on the the LOCAL numbers! The U.S. would transform, overnight, into a bilingual nation. At least half of Puerto Ricans do not speak English, the language of our U.S. Constitution and founding documents. The Washington Times article, "Puerto Rican statehood," analyzes all the implications of adding a foreign language-speaking state to the Union. It would bring immediate demands for massive federal spending. The average income of Puerto Ricans is less than half that of our poorest state, and infrastructure and the environment are far below American standards. Puerto Rico has a population with a median national income of $17,741, nearly a third of that for the U.S.
Puerto Rico is already a democracy. Despite the bill's deceptive title, Puerto Rico already has an elected government and exists as a self-governed commonwealth of the U.S.
Statehood would give Puerto Rico more congressional representation than 25 of our 50 states! It would inevitably give Democrats two additional U.S. Senators and 6 to 8 additional Members of the House. The United States House of Representatives is set to vote on H.R. 2499, the Puerto Rico Democracy Act, as early as this week. This bill would mandate a non-binding expression by the voters of Puerto Rico as to their wishes with regard to retaining their commonwealth status or becoming a state or becoming an independent nation, but in conjunction with other legislation already introduced inside Puerto Rico, the commonwealth status of the island could be eliminated as early as this year. Three times in the past 43 years Puerto Ricans have voted against becoming the 51st state in the Union, the last time being 11 years ago. But this time the bill is rigged to eliminate the commonwealth option and grant either full statehood, or total independence. Sen. Jose Hernandez-Mayoral of the island's minority Popular Democratic Party said, "Behind this innocuous bill lies a fully thought out assault on Congress to designate the island the 51st state." "With the commonwealth option out of the ballot, statehood is finally, albeit crookedly, assured a victory." For the complete text of HR2499 Puerto Rico Democracy Act of 2009 click here. Yesterday, Wednesday afternoon, April 28, as Tea Party Patriots held a protest outside of an event where President Obama was speaking, the Secret Service called in SWAT teams to handle the protesters because they would not move and were singing patriotic songs. Now compare the above videos with this video of phone messages and emails left to our friends at FreedomWorks. (These phone messages and emails left at FreedomWorks who light of recent accusations, took the opportunity to set the record straight. Every revolution needs icons. The Tea Party movement may have mushroomed because of its reluctance to anoint a leader, but leaders have emerged nonetheless. In February 2009, Jenny Beth Martin was one of about 20 people who took part in the original conference call (convened via Twitter hashtag) in response to Rick Santelli's now famous rant. Her commitment to building the burgeoning movement has made her one of its breakout stars. 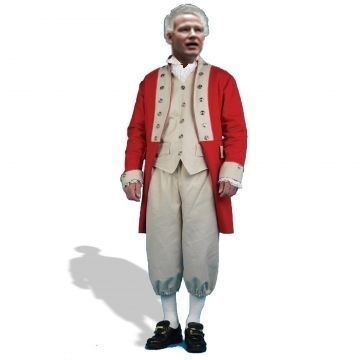 Martin, 39, is a co-founder and the national coordinator of the Tea Party Patriots, an umbrella organization that claims 1,800 local affiliates with some 15 million members. She serves as co-chair of her hometown Tea Party in Atlanta, and she helped lead the 9/12 movement's march on Washington in September. It was only as she watched protesters trickle down Pennsylvania Avenue to promote Tea Party principles, she says, that "the enormity of the movement hit me." The former Republican consultant is an unlikely beacon — a mother of young twins, she blogs about clipping coupons, her household menu plans and her family's battle with bankruptcy, which had Martin cleaning houses to make ends meet when the Tea Party began brewing. "I have a tendency to raise my hand to volunteer too often," she says of the decision to launch the Tea Party Patriots. Her peers are glad she did. Speaking as one of the local coordinator & State Coordinators -- we could not be happier! And we may be biased, but we do not believe there is a better example than Jenny Beth as to what the Tea Party movement is really about. I recall the initial nationwide conference calls in the days immediately following the 1st Tax Day Tea Parties. 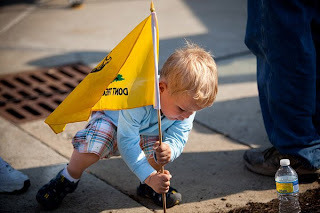 Maintaining the integrity & original intent of the Tax Day Tea Parties, remaining a grass-roots, bottom up type non-partisan group has always been at the forefront in the Tea Party Patriots birth and infancy. Jenny Beth was always stressing this must be maintained as the TPP's grow. Jenny Beth, we know you do not like the spot light, that you have shied away public recognition for your hard work you do , but-- Congratulations! In the spirit of a true American you have truly earned this. Arzella (Lake/Geauga County Tea Party Patriots) has been on top of immigrations issues here in OH and on a national level. Arzella forwarded the below information on how pro-immigration groups are making targeted efforts urging our OH Senators to support "their" version of immigration reform. We need you to contact Sen. Brown & Sen. Voinovich and let them know your feelings on any immigration reform. A diverse coalition of immigration reform supporters are touring the state, asking Senators Brown and Voinovich to publicly support comprehensive immigration reform legislation this year. Every office of Senator Brown and Senator Voinovich needs to receive phone calls, e-mails and faxes on this issue. We do not need an Amnesty Bill passed. What we need is for our borders to be secured and our existing immigration laws to be enforced. In 1986 amnesty was given to approximately 3 million illegal immigrants. It is now 2010 and we are looking at over 20 million illegal immigrants. Our Euclid Team Leader, Jason Alan, put this together for voters in Euclid. In Nov. of 2009 Euclid Council terms were extended from 2 to 4 yr. terms. Now if they perform poorly we have to wait possibly 4 years to VOTE them out. OR another way for them to be removed is to gather signatures in the form of a petition and have it placed on the next elections ballot. Issues 26 and 27 deal with this and are on the May 4th primary ballot in the form of city AMENDMENTS. Recall - The charter of the city of Euclid be amended to increase the number of signatures needed to file such petitions (removal of elected officials) to 25 percent of the electors voting in the most recent general election. Currently, the charter requires ONLY 15% of those who voted in last years election. Recall of the Charter of the City of Euclid be amended to require a declaration of intent to petition for the removal of any elected officer of the city; and to impose a 45 day time limit on the filing of petitions after the declaration has been filed. Currently, there is NO time limit on the gathering of signatures for recall. The DECLARATION to RECALL is something new. If you combine the new staggered City Council terms, with the newly added 4 year terms and if ISSUES 26 and 27 pass they are further distancing themselves from us “Their Employers”. Well that was a temporary victory with he Finance Reform legislation in the Senate, after failing to get a Cloture vote, Senator Harry Reid is trying to ram it through again! Cloture on the motion to proceed Senate Bill 3217, also known as the Restoring American Financial Stability Act of 2010 failed last night by a vote of 57-41. After the vote Sen. Reid entered a motion to reconsider the cloture vote and the cloture vote will occur today at 4:30 pm. Also last night, Sen. Reid filed cloture again on the motion to proceed to S.3217, the Financial Reform Bill. This cloture vote will occur on Wednesday if cloture is not invoked this afternoon. Sens. Dodd and Shelby continue to talk in hopes of getting a bipartisan agreement. Read Sen. McConnell’s opening floor remarks from this morning on Financial Reform by clicking here and also a piece from the Communications Center by clicking here. Patriots, we need to continue making the calls and making sure the Republicans Senators stand together against the Cloture vote. For more information on SB 3217, Restoring American Financial Stability Act of 2010, and information of which Senators to contact click here. ORP Chairman Kevin DeWine calls Tea Parties in OH "Liars & Noisy Distractions"
The continued battle between the Tea Party/9.12 movement and the GOP leadership in OH is continuing to heat up. The arrogance & poor leadership in the Ohio Republican Party (ORP) is simply amazing. While you read the below statement please remember ORP Chairman DeWine wants you to vote for the candidates endorsed by the Ohio Republican Party in the contested statewide GOP primary races. Making every attempt in trying to claim the ORP shares the same values as the Tea Party groups here, like typical political hacks, the actions of the party prove different. In the below release ORP Chairman Kevin DeWine implies the Tea Party & 9.12 groups are a bunch of "ridiculous, no account, frothing at the mouth, agenda-pushing liars just trying to make noise." Finally, I've seen and heard a lot of ridiculous accusations lately about the role of the Ohio Republican Party in this primary election. Understandably, much of it is motivated by the heightened emotions of political primaries and too often spread with little to no accountability through email, blogs, and social media sites. Unfortunately, most of it is flat out false, and it's typically generated by people who find the truth just too inconvenient for their agenda. I want you to know you can always contact my office or email me directly if you want answers to any rumor or accusation about something we're doing. This election is too important to let "noise" distract us from the real goal of winning in November. First, we find it comical the Chairman DeWine talks about the Tea Parties having little or no accountability through email, blogs, and social media sites after his Frat Boys controlling the ORP Face Book page launched a full-frontal Elephant Clan attack on a long time supporter that disagreed with them. This member was pretty much told, "shut up, your stupid, and just make campaigns calls like you are told." You can read this exchange for yourself by clicking here. Addressing the rest of the nonsensical comments from Chairman DeWine, not only do we challenge him -- but dare him -- to dispute one iota of information posted on this blog, our website or our Face Book page regarding him, the Ohio Republican Party and/or the actions of his ORP State Central Committee leading up to this years primary races. Patriots, besides being upset many Tea Party members are running for the State Central Committee as individuals, this is nothing short of an inept, self-serving, arrogant party chairman who's stepped in a pile of elephant dung created by none other then himself and his sheep-like State Central Committee feebly trying to calm the fears and growing anger from within his party ranks by trying to demonize the Tea Party movement in Ohio through some grand old party propaganda. Pretty much like the liberal left and MSM does on a daily basis. Summing it all up... in reality it appears it is the Tea Partys & 9.12 groups in OH that are becoming an inconvenient truth for the agenda of ORP Chairman DeWine, his State Central Committee and his handpicked, party endorsed, non-Tea Party type candidates. Life was a lot simpler when I didn’t know what I know now. Before I started paying attention, before I spent my nights reading and educating myself, and certainly before I became one of millions accused of being a racist and a homophobe because I sought to protect the Constitution. My son knows where all the American flags are in town and points them all out when we pass one by. I’ve endured many meltdowns in the car because I wouldn’t turn around so he could “hold the flag.” And no amount of reasoning can convince him that he can’t hold a flag that rests on a 50 foot flagpole. Many times he’s had tantrums in stores because he wants to a take all the flags home. He sleeps with his collection at night, and then carts them around all day. My neighbors have to wonder about this kid of mine, who spends hours moving his flags in and out of every garden bed we have, and cheers when the wind kicks up and they flap around. I'm learning to pick my battles. So a couple weeks ago, I told him he could take ONE of his flags in the stores. Who knew that a little boy walking around a store carrying an American flag on a stick could get so many double-takes, odd looks, and lots of smiles. He told me how kids aren’t taught to love our country and respect the flag anymore and that seeing my son made his day. He told me he never imagined our Country would be hijacked by socialism and corruption. All the while he keeps looking over at my sweet boy who by that time had stuck his flag in a display box, and was yelling, “Look Mom, my beautiful American flag is standing up all by itself.” The old man smiled and said that he hoped I kept up the fight because America was worth it. As he started to walk away, he hesitated, turned back around and pulled his arm out of his jacket pocket to reveal a hook where his hand used to be and said very simply, “I was in Korea.” As soon as I saw that, tears weld in my eyes. All I could say was “Thank you for serving our country,” he said nothing, just quietly turned and walked away. I sat in the parking lot for a few moments thinking about that old man, and I’m not ashamed to say that I wept. This man, a Korean War veteran, no doubt saw and experienced and sacrificed more than I can ever comprehend. 36,000 American soldiers died in Korea, with another 8,000 MIA. After surviving that, burying friends, and losing a limb, how he must feel to live to witness the undoing of the Freedoms so valiantly fought for. Which is why, I know now, he couldn't take his eyes of the sweet sight of an innocent boy so enamored with the flag he fought so bravely for. Senate Trying to Ram Through Another Bad Bill . . . Surprised? This Friday Senate Bill 3217, also known as the Restoring American Financial Stability Act of 2010, introduced by Democrat Senator Chris Dodd of Connecticut, is scheduled to hit the floor of the US Senate where it must wait 72 hours before it comes up for a full vote. CLICK HERE to read the actual 1,421 page bill. 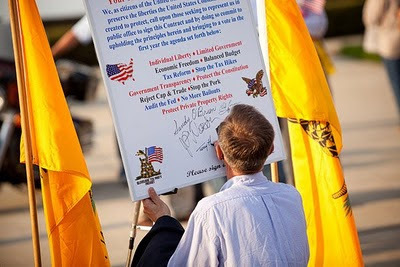 The vast majority of Tea Party Patriots' Local Coordinators from all over the country agreed on our most recent weekly conference call that this is a bad bill and we oppose it. In short it grants permanent, unlimited bailout authority to the Federal Reserve. It's like TARP forever without the nasty, unpopular debates and votes in Congress. Beyond that it gives the Fed the power to takeover vaguely defined "nonbank financial companies". And the Fed has the power to decide what constitutes a "nonbank financial company" on a case by case basis. Connecting the Dots: Does Wall St. Want Dodd Bill? 3.) Write Letters about this issue to your local paper for publication on or before Sunday. Also leave comments on as many news blogs and websites related to this subject as you can find. 4.) Forward this message to as many people as you can and ask them to take these same 4 steps as soon as possible. Use the full power of your circle of influence to move others (at least 1 more person) to take action. Once again it's up to us, you and your fellow Tea Party Patriots, to defend America from out of control government. There are several CTPP members running for State Central Committee (SCC) for the Ohio Republican Party. For those that don't know what this is.... in a nutshell -- these are the party positions for the State Parties that give out endorsements, vote on party policy and choose the party chairman. The SCC is responsible for the political musical chairs we see in the State Races on the GOP ticket. FOr more on the ORP antics in this years primaries click here. The SCC is why you only have Mike DeWine to vote for as AG in the GOP primary. Voting in these races is of the utmost importance if we want to stop party hacks from being promoted as candidates, and have a way to advance candidates that share yur views and embrace our core values. While this not an endorsement, we went to let everyone know some of our members have stepped up as individuals and decided to run for these seats. The SCC is comprised of one woman and one man for each State Senate District. Please check or verify the Senate District where you reside. A map identifying the state senate district for each Ohio county can be found at http://www.ohiosenate.gov/map.html. In today's Metro section, Republican secretary of state candidate Jon Husted got slapped around by one of our own. Mr. Husted, aka "Creator of Ohio's CAT tax", has been running ads claiming to be a Tea Party candidate. Anybody with a small business can tell you that CAT is just another way for Ohio to have it's hand in your pocket. According to the Ohio.gov website, The CAT is an annual privilege tax measured by gross receipts on business activities in this state. This tax applies to all types of businesses. A "privilege tax?" Don't make me laugh Jon.. With CAT's May due date looming, go find me a small business owner in this economy who feels "priveleged" to hand over more hard earned money. The Tea Party stands by three very simple principles. Fiscal Responsibility, Limited Government, and Free Markets. Husted is going to have a hell of a time trying to convince anybody he's the furry little kitten candidate. But Ralph King said it best in today's paper. "The only relation Jon Husted would have with the Tea Party is if he would have been driving the British ship into the Boston Harbor." At the recent Tax Day Tea Parties hundreds of local Tea Party and limited government groups around the country joined together to announce the launch of the "Contract from America," a grassroots legislative blueprint for 2010 and beyond. Grassroots activists from across the country visited the website to choose their top ten priorities from a list of 21 action items that committed Americans from all walks of life proposed. The top ten issues comprise the final Contract. After garnering nearly half a million votes in less than two months, the Contract from America has now been finalized into a blueprint that will serve notice to public officials about what the people want for their future. OH House District 14 candidate Dave Morris was present, but was called into work immediately prior to the ceremonial signing. Mr. Morris has signed the actual Contract from America though. We want to thank these candidates for attending and participating in our ceremonial signing of the Contract from America. 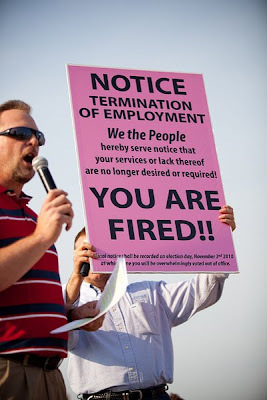 Understanding that this is not an endorsement and that the Tea Parties do not exist for candidates or political parties, but for "We the People", the Contract from America will be in front of many candidates and politicians running for reelection and asking if they support this grass roots crafted contract. More information about each plank, including its full description and the name of the activist who first proposed it, is available at the Contract from America’s website (Click here). At our 2nd Annual Tax Day Tea Party this past Thursday.... Thanks to member Tom Dzurko -- Operation Pink Slip -- was launched. Joining Bob Frantz (WTAM/1100) on stage, Tom & Bob led the crowd in sending a message to Congress! And boy did the crowd join in! Below are the videos of the CTPP Candidates Forum held on April 7th, 2010 at Bedford Rec Center. We want to thank the candidates for coming. We ask you best decide who represents your values and who will best represent our core values of, Fiscal Responsibility, Constitutionally Limited Government and the Free Markets. We also want to thank Kat Palmer & Steve Christopher for doing a great jon at moderating the event and, Cynthea, Dave, Jason, Dan & everyone else that helped out. A special thanks goes to those who served in formulating the questions for the first part of the event and Grant McCallum of Cuyahoga County for Liberty for video taping the event. 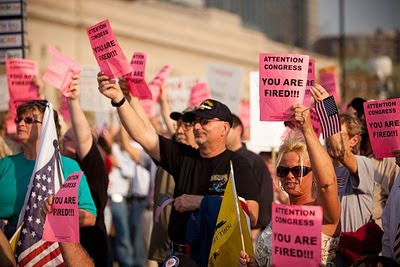 Tea Party Scam Alert: OH Elephant Clan on Parade as Tea Party Candidates! The Ohio Republican Party (Ohio Elephant Clan) and the chief clown leading their three ring political circus -- ORP Chairman Kevin DeWine, are up to their old "we can't do anything with integrity" tricks again! In a direct mailing campaign for the ORP endorsed candidates, State Central Committee Candidates included, the Ohio Republican Party is including a Tea Party style logo (right) claiming they stand for "Tea Party Values." The logo alleging that the ORP endorsed candidates share our values is nothing more than a cheap attempt at trying to fool voters into believing these candidates are supported by groups in the Tea Party movement. This shows the Ohio Republican Party and their leader Chairman Kevin DeWine still does not understand that the Tea Party movement does not exist for the GOP or their handpicked candidates. 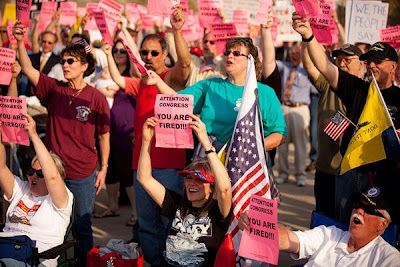 That's right the same Ohio Republican Party that has stated the Tea Parties & 9.12 groups are nothing without the GOP, the same Ohio Republican Party that called the police on Patriots protesting at their HQ over the sham state endorsements given out earlier this year are now pretending they have "Tea Party" values! Make sure you let all your Tea Party & 9.12 friends know, that some of the candidates (Husted, Mike DeWine & Dave Yost) using the above GOP fabricated "Tea Party logo" -- refused to participate in several Tea Party candidate forums -- but now they supposedly share our values. Republican State Auditor candidate Dave Yost today proposed creation of a State Budget Commission of the Auditor, Treasurer and Attorney General to improve state fiscal planning and increase accountability. “Ohio counties have been well-served by county budget commissions made up of the county auditor, treasurer and prosecuting attorney, which designate a revenue total and then make regular updates,” Yost continued. With this proposed partisan move and as reflected in the above statement, Yost clearly affirms a lack of knowledge on the vastly different roles of a County Auditor and a State Auditor. “This is a great example of the difference between having a CPA as Auditor of State and someone who served as auditor of county. A CPA like the Ohio Auditor both work to ensure independence and objectivity whenever issuing audit reports. A county auditor has no responsibility to issue such reports,” said Seth Morgan, CPA. “To have the Auditor of State who is tasked with issuing an objective and independent financial audit report being involved with placing their credibility on the estimates of the revenue itself creates the appearance of a lack of independence in issuing that financial audit report. How does the Auditor of State first tell the citizens of Ohio what the revenues will be and then issue a report on the revenues themselves without being tainted by the fact that their credibility is already on the line?” said Morgan. State Auditor Mary Taylor says an Ohio Budget Commission proposal unveiled this week by auditor candidate Dave Yost could create a conflict-of-interest problem for the office. For more insightful comments on Yost's proposed Budget Commission here are a couple other posts made by two of the more competent and accurate bloggers in OH at Right Ohio (click here) and Bizzy Blog (click here). The Cuyahoga County for Liberty group by working with COAST is kicking off their campaign to ban Red Light Cameras in Cleveland & Garfield Hts. The Cleveland Tea Party Patriots have endorsed this effort without reservation and encourage all our members to attend the press confernce tomorrow. Make sure to visit the CC4L booth at our Tax Day Tea Party where you can sign up to be more involved. In 2009, at least three other cities in Ohio batted back Red Light Cameras. Pickerington residents defeated the plan with legislative action, and voters in Chillicothe and Heath, Ohio banned the cameras with ballot initiatives. In 2008,Cincinnati voters banned the pernicious and intrusive devices with a Charter Amendment. The Cleveland and Garfield Heights Charter Amendment proposals are modeled after Cincinnati 's and will effectively ban unmanned red light and speeding cameras from being enforced in City limits. On Thursday, COAST and local volunteers in Toledo will re-launch the effort to ban the cameras in that City as well. We had an awesome turnout for the CTPP Candidates Forum with about 65 people attending. The questions posed to the participating candidates were far from the usual softball type questions and settings most typically seen. The candidates that participated were given no "open book" type questions prior to the event and were told they would be coming into an unknown setting. Other than the most basic description of the format and that their opponents would be invited, the candidates were completely kept in the dark about what they would be facing. The reasoning behind this was twofold -- one, the Tea Parties should not exist for the candidates & their campaign but for our members & our core values. 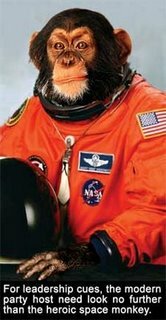 The other being -- if a candidate must study or prepare for a Candidates Forum, they have no business running for office. They should already know what they stand for and why they are running for office. The candidates were informed that the days of softball type questions and cookie-cutter type formats are a thing of the past with the Tea Party Patriot groups in OH. Sandra O'Brien, who is running for Secretary of State was in attendance, her opponent, John Husted refused to attend. After first giving a verbal commitment that they would attend the series of candidate forums being hosted by the Tea Party Patriot groups in OH, the Husted campaign played games and wanted to just come and talk to the groups alone. They were told we do not exist for candidates to bloviate pie in the sky promises -- after this the Husted campaign did not respond to several requests for confirmation of their attendance. Seth Morgan, who is running for State Auditor was in attendance. His opponent, Dave "I was for being Attorney General before I was against it" Yost.... well we don't know what happened to Dave. When Dave was going to be the Tea Party darling and run against Mike DeWine for Attorney General he was all gung-ho on coming to the events. After he decided to do the bidding for ORP Chairman Kevin DeWine ( and John "CAT Tax" Husted) by abandoning the AG race (and the Tea Parties & 9.12 Groups) for the State Auditor race, Yost refused to schlep in for any of the TPP candidate forums. This brings us to the conclusion Yost would much rather drink Ohio GOP kool-aid than "Tea" with you & me. For the record, when Dave Yost, who can now be referred to as the AG candidate of yosterday, dropped out of the AG race, he claimed it was the grass roots organizations that asked him to do so. We don't want to say he is not telling the truth, but he has been unable to provide any proof of these requests. Peter Corrigan & Ben Franklin running in the District 10 primary were in attendance and both performed very well. Tim Grendell & Skip Claypool running for OH House 98th District were also in attendance and both of these candidates rose to the occasion also. Overall, the candidates all performed very well and should be applauded for their willingness to wade into an unknown format, something rarely done by candidates. We wish them all the best of luck in the May primary races. We want to thank Steve Christopher (former AG candidate) and Kat Palmer for moderating the event. We also want to thank the Cuyahoga for Liberty group for taping the event for us. The video will be up soon and you can judge the candidates performance for yourself. We've noticed some new candidates have been endorsed in the State Central Committee races over the longtime GOP favored incumbents. Namely in Senate District 25 where Ron Lisy was endorsed over long time incumbent Dave Bailey and Mike Griffith was endorsed over former OH Republican Party Chairman and incumbent Bob Bennett in Senate District 23. On the Democrat side, challenging Rep. Betty Sutton in Congressional District 13, Justin Wooden was given the endorsement. These BFA endorsements are being listed strictly as educational material and not as endorsements from the Cleveland Tea Party Patriots. Please join us at our 2nd Annual Tax Day Tea Party (click for details) where we will be unveiling the grass roots built Contract from America. (Alexandria, VA) – The Tea Party Patriots, a national umbrella organization for hundreds of local tea party groups around the country, joined today with the National Taxpayers Union, FreedomWorks, and Americans for Tax Reform, three of the nation’s most prominent free-market advocacy groups, to announce the upcoming April 15 launch of the “Contract from America,” a grassroots legislative agenda for 2010 and beyond. 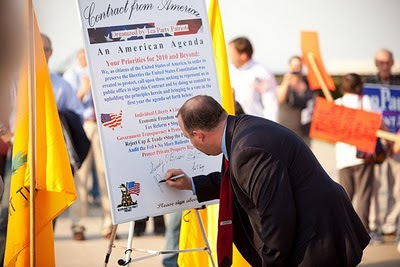 Originally proposed by Ryan Hecker, a Houston Tea Party activist and National Coordinator for the project’s chief organizing group Tea Party Patriots, the Contract is a different kind of agenda for our federal lawmakers: unlike the Contract with America from the 1990s, every plank of the Contract from America was proposed and voted on by everyday citizens. 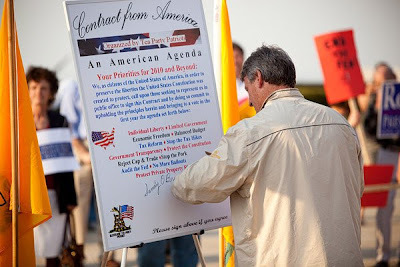 Right now, concerned citizens can visit the Contract FROM America website (www.contractfromamerica.org) and choose their top ten priorities from a list of 21 planks proposed by committed Americans from all walks of life. By asking website visitors to propose and vote on the agenda, the result will be not a list handed down from on high by old-bull politicians, but one handed up from the true grassroots in this country. Once voting is complete on Monday, April 5, 2010, the Contract will be finalized into a blueprint that will serve notice to public officials about what the people want for their future. As of April 1, over 360,000 votes had been cast on the Contract website. The three most popular planks were: (1) beginning the process of enacting a balanced budget amendment to our Constitution, (2) requiring legislation to cite the Constitutional provision under which it is authorized, and (3) rejecting “cap-and-trade” national energy tax proposals. Tea Party Patriots (www.teapartypatriots.org), National Taxpayers Union (www.ntu.org), FreedomWorks (www.freedomworks.org), and Americans for Tax Reform (www.atr.org) are nonpartisan, nonprofit citizen organizations working for lower taxes and smaller government. Last year on April 15th 2009, millions of hardworking Americans stood in unison in over 800 protests around the country. 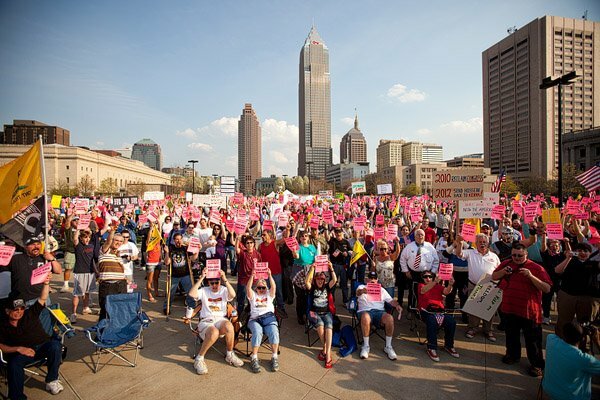 These protests, which became known as the Tax Day Tea Party, expressed real concerns against reckless government spending and spawned millions of Americans to get involved in their local Tea Parties which today are holding elected officials accountable. With our nation at a time like no other since we’ve gained our Independence, it is important, now more than ever, that YOUR voice be heard. Please join us & your fellow Americans in celebrating this non-partisan, grass roots movement sweeping the nation! Along with our great list of speakers, C.J. & Adeena will again be blessing our ears with thier incredible voices (Listen Here). And wait until you hear the patriotic pipes on CTPP's co-coordinator Glynn Urban as she sings her song "Freedom" (Listen Here). 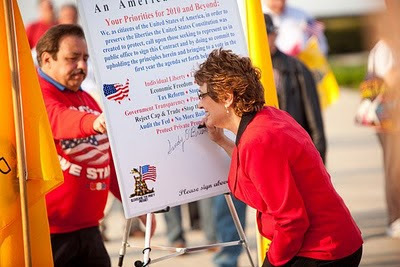 To top everything off, the Tea Party Patriots, National Taxpayers Union, FreedomWorks, and Americans for Tax Reform will be unvieling the Contract from America at Tax Day Tea Parties across the country. Help draft the final version of the Contract from America. Click here to vote on your priorities. OH State Senator Shannon Jones & OH State Senator Tim Grendell have sponsored Senate Bill 244 which would prohibit requiring an individual to maintain a policy of health insurance. State Senator Shannon Jones has also started an on-line petition in support of this bill. Please take the time to read the bill (below) and sign the petition if you agree. You can read & sign the on-line petition in support of SB 244 by clicking here. To enact section 3901.711 of the Revised Code to prohibit requiring an individual to obtain or maintain a policy of health insurance. Sec. 3901.711. (A)(1) No individual who is a resident of this state, regardless of whether the individual has or is eligible for health insurance coverage under any policy or program provided by or through the individual's employer, or a plan sponsored by this state or the federal government, shall be required to obtain or maintain a policy of individual health insurance coverage. (2) No provision of Chapter 1751. or Title XXXIX of the Revised Code shall render an individual who is a resident of this state liable for any penalty, assessment, fee, or fine as a result of the individual's failure to procure or obtain health insurance coverage. (3) No public official, employee, or agent of this state or any political subdivision shall impose, collect, enforce, or effectuate any penalty as a result of the failure of an individual who is a resident of this state to procure or obtain health insurance coverage. (B) The attorney general shall seek injunctive or any other appropriate relief as expeditiously as possible to preserve the rights and property of the residents of this state, and to defend as necessary this state, its officials, employees and agents in the event that any government, subdivision, or government agency enacts or adopts any law, rule, or regulation that violates division (A) of this section. (C) This section shall not apply to individuals voluntarily applying for coverage under the medicaid program established under Chapter 5111. of the Revised Code or the children's health insurance program established under sections 5101.50 to 5101.529 of the Revised Code.